*Note: This post has been updated from its original post date of November 10, 2016. As of January 2018, 8 states and Washington D.C. have passed broad legislation for the legalization of marijuana for recreational use and 29 states for medical use. States that now allow adult citizens to smoke weed include Colorado, Alaska, Oregon, Washington, California, Maine, Massachusetts and Nevada. Other states have passed laws allowing marijuana for medical use. This list may not be comprehensive and could be outdated as more legislation is passed. We will continue to update when possible. The list below presents the states with marijuana legalization and the details as of January 2018. In the states that have legalized recreational use, marijuana is regulated the same as alcohol. The research seems to show that states that allow possession of small amounts go on to later pass laws allowing legalization of recreational use. Alabama - Medical marijuana is permitted for the severe epileptic conditions only. Arkansas - Medical use as of November 2016 but rules and dispensaries are still being figured out. Prohibited near on on property of schools and childcare centers, correctional facilities, while driving, and in public places. Learn more. California - Medical and Recreational use. Must be 21 to grow and use. Not allowed in public places, while driving or driving under the influence. Possession at a school or daycare where children are present is illegal. Buying recreational pot from dispensaries began 1/1/2018 but not allowed to be sold between 10 pm and 6 am. Fresno and other cities are banning the sales for recreational use. Florida - Medical use legislation passed in June, 2017. Patients and caregivers must be 21 and over. Learn more. Louisiana - Medical use. Physicians may "recommend" rather than "prescribe" to protect their medical licenses since the doctors are federally prohibited from prescribing. Dispensaries and legal protections for those who provide the drug are still being worked out. Maine - Medical and Recreational use. Must be 21 to grow and use. Not allowed in public places, while driving or driving under the influence. Maine is still considering legislation to regulate and tax the sale of pot. Massachusetts - Medical and Recreational use. Must be 21 to grow and use. Smoking is not allowed in public places. Sale is prohibited until regulations for edibles are completed. Retail pot shops to open in July 2018. Employers are allowed to prohibit smoking it in the workplace. Local governments are allowed to restrict use and sale in public buildings or near schools. Learn more. Some Massachusetts landlords may also prohibit smoking pot since it is still federally restricted. Mississippi - Law passed in 2014 to allow medical use for severe epileptic conditions but have had little success rolling it out. North Dakota - Medical use. The medical marijuana program and rules are still being rolled out. Washington - Medical and Recreational use. Must be 21 to use. Must be 21 and require the drug for medicinal purposes to grow. Not allowed in public places, while driving or driving under the influence. West Virginia - Medical use legalized for cannibis-infused products. In some cases, the laws explicitly note an employers' right to prohibit employees from using, possessing or selling pot in the workplace. Even if they don't, employers still have rights when it comes to marijuana in the workplace. Employers may fire employees for illegally using the drug, especially if it could cause harm to others. Under federal law, marijuana use is considered a Schedule 1 Substance under the Controlled Substances Act. The DEA isn't actively getting involved in the approved laws in these states, however, the Justice department is allowed to step in if states don't regulate use or if safety issues emerge. A recent announcement by Attorney General Jeff Sessions included a withdrawal of federal guidelines that would limit prosecutions of businesses that sold pot legally. This is an ongoing challenge for more states passing their own legalization laws. 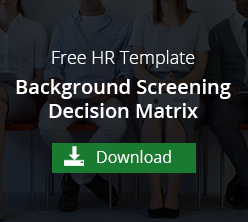 Drug-screening program best practices: Drug Screening FAQ for Human Resources Professionals.